Blowout in the Gulf, a new book on Deepwater Horizon, opens with the observation that the ruined oil platform was dubbed Macondo, after the setting for the novel One Hundred Years Of Solitude. Written by the Nobel Prize-winning Colombian writer Gabriel García Márquez, the novel is an apocryphal tale of a prosperous town cut off from civilization, too self-involved to notice the signs of its own corruption. Ultimately, it is wiped off the face of the Earth in a deluge. The parallels were too thematically powerful for the authors of Blowout to ignore in their account of the BP Gulf oil spill disaster. Like characters in a novel, most of us have a hard time envisioning what can happen when oil and hubris mix. But that nexus was often the home for the late William Freudenburg, who wrote Blowout in the last few months of his life as a conscious attempt to engage nonacademic readers. And it may be his defining work. The book “took 60 days to write and 60 years to research,” he said, noting the combined number of years he and his co-author, Robert Gramling, had worked together. A professor of environmental studies at the University of California, Santa Barbara, Freudenburg died of cancer on Dec. 28, 2010. His life work, as Wikipedia phrased it, “emphasized the socially structured sources of environmental impacts” — like, say, Macondo. View a lecture by William Freudenburg on learning lessons from the BP spill here. 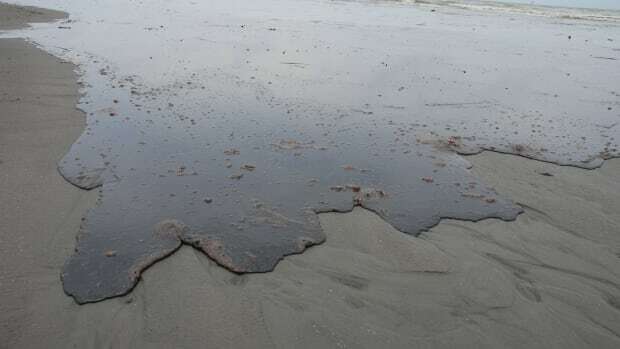 Freudenburg and Gramling place the events leading up to the BP oil spill firmly within the context of the 2008 Republican campaign slogan, ”Drill, Baby Drill,” the lax safety standards of the oil industry and the industry’s aversion to second-guessing itself. 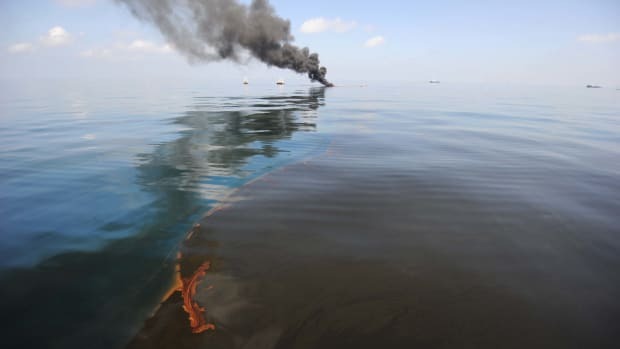 A series of cost-cutting maneuvers had catastrophic consequences, the authors conclude, and BP engineers downplayed the risks even amid the ominous signs of a potential blowout. It’s a phenomenon Freudenburg called the “atrophy of vigilance.” It describes an organization’s diminished ability to accurately calculate risk after successfully avoiding accidents over an extended period of time. A sociologist by training, Freudenburg was the Dehlsen professor at UCSB’s School of Environmental Studies, a school founded in the wake of what was then the most devastating oil spill in the U.S., the Santa Barbara blowout of 1969. Freudenburg’s focus was on environmental sociology — he called it “hardware, humans and society” — an academic discipline that places an emphasis on examining environmental problems within the context of human interactions. Early in his career, Freudenberg looked at boomtowns in the American West. He published a series of well-regarded papers on the social impacts of extractive industries on rural communities before expanding his repertoire to include risk analysis and organizations. “Bill always had a knack of doing good sociological research on important natural resource and environmental issues,” recalled Riley Dunlap, a friend and sociologist at Oklahoma State University. In a March 2006 article in the journal Rural Sociology, Freudenburg wrote, “Environmental damages are often characterized by high levels of disproportionality, with much or most of the harm being created by the diversion of environmental rights and resources to a surprisingly small fraction of the relevant social actors. This is an academic way of saying that a few bad apples within any given industrial sector often account for a large percentage of the pollution. And they are allowed to continue polluting because the public assumes economic growth is impossible without environmental harm. Freudenburg contended that regulators should shift their focus from the average polluter to the handful of outliers who were causing most of the damage. “If you could get the worst 10 percent of the polluters to be no worse than the average or medium polluters in the dirtiest industries in America, you could reduce the total emissions from those entire industries by 70 to 90 percent,” he said. In 2007, the nonprofit Environmental Integrity Project released Dirty Kilowatts, a report ranking coal-burning plants according to their pollution levels. It showed that old, inefficient coal-burning power plants accounted for a disproportionately large share of emissions across four major categories –—sulfur dioxide, mercury, nitrogen oxide and CO2 — while producing less than 14 percent of the electricity generated in the United States. APublishers Weekly ”Pick of the Week,” Blowout in the Gulf provides a compelling historical perspective of U.S. oil exploration since the latter half of the 19th century. Prior to 1953, the United States was one of the largest producers of oil in the world — “the OPEC of oil,” as Freudenburg put it. Americans came to expect, and even demand, cheap and readily available supplies of gasoline even as the sources of the petroleum moved overseas. After the OPEC oil shock of the 1970s, every American president started touting the virtues of energy independence. But the industry called for opening oil fields on the North Slope of Alaska and in ever-deeper waters in the Gulf of Mexico at an unsustainable pace. “We’re burning gas through the end of a cars tailpipe as fast as oil companies can extract it,” Gramling said. Perhaps even more damaging is the corrosive effect the oil and gas lobby has had on Capitol Hill. According to Blowout in the Gulf, the oil and gas lobby spent $340 million to lobby Congress between 2008 and 2010. In return, the industry received tax breaks and subsidies that economists estimate will cost the federal treasury $3.6 billion in lost revenue over the next decade. Oil and gas leasing is second only to taxes collected by the Internal Revenue Service in terms of revenues generated for the U.S. government. 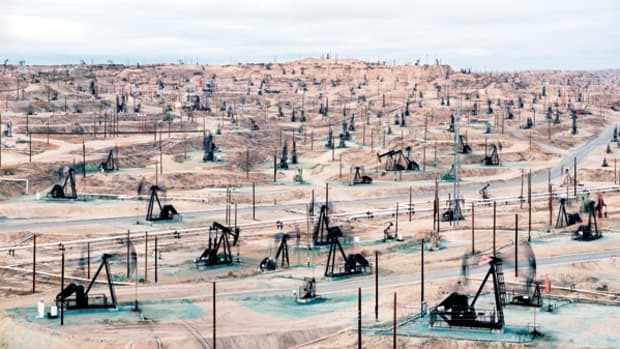 But the rate of return on leasing public lands for oil exploitation is a pittance compared to that of other oil-producing countries. Through royalties, leases and taxes, the U.S. government receives a 40 percent return, Norway receives almost double that amount, at 75 percent, and Tunisia, Kazakhstan and Brunei get an 80 percent return. Miller-McCune staff writer Melinda Burns contributed to this report.